Hunter Douglas PowerView® and SoftTouch™ Motorization. Hunter Douglas PowerView® Motorization allows you to control your custom shades easier than ever before. 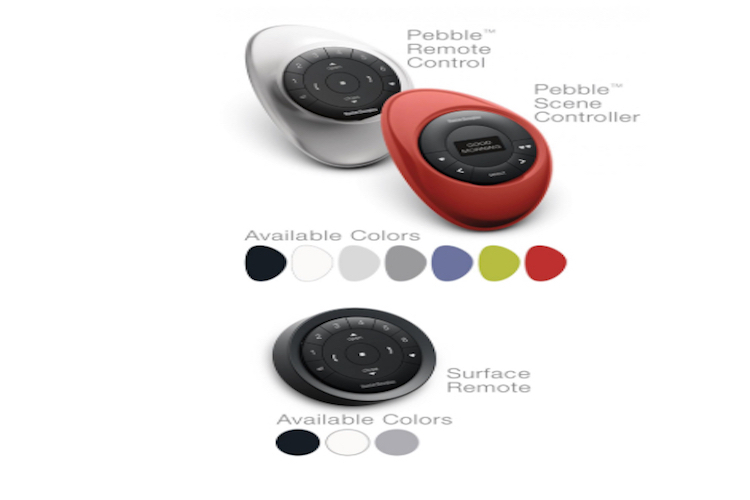 Move your shades up or down with the Pebble® remote control or use your iPhone, Android or tablet device. Hunter Douglas PowerView® Motorization can even integrate with your home speaker devices such as Amazon Echo and Google Home. 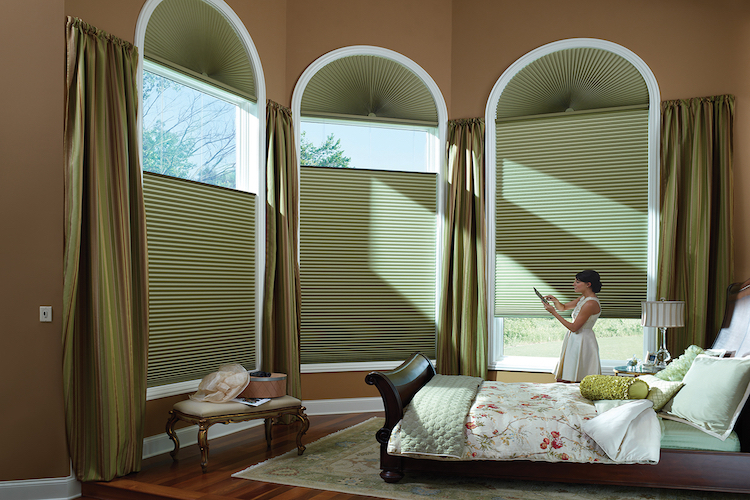 A simple voice command can allow you to raise or lower your custom window blinds and shades. 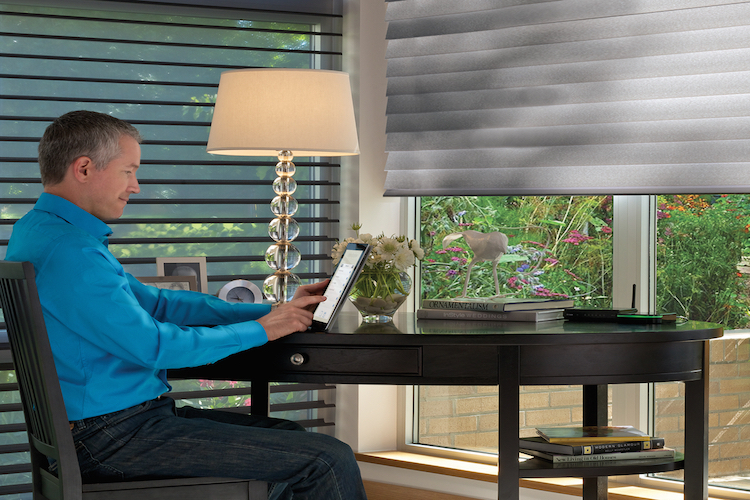 Raise or lower your shades your shades according to your lifestyle with PowerView® Motorization. Preset your shades to rise and lower at a specific time in the morning, day or night. PowerView® Motorization moves your window shades and blinds so you don’t have to! It’s easy and convenient to use whether you are a technology lover or not. Hunter Douglas PowerView® Motorization is a recent winner of the design industry’s RED DOT award. PowerView® Motorization stands for innovation, design and superior functionality. Ask TWG for a demonstration of the award-winning PowerView® Motorization system today. 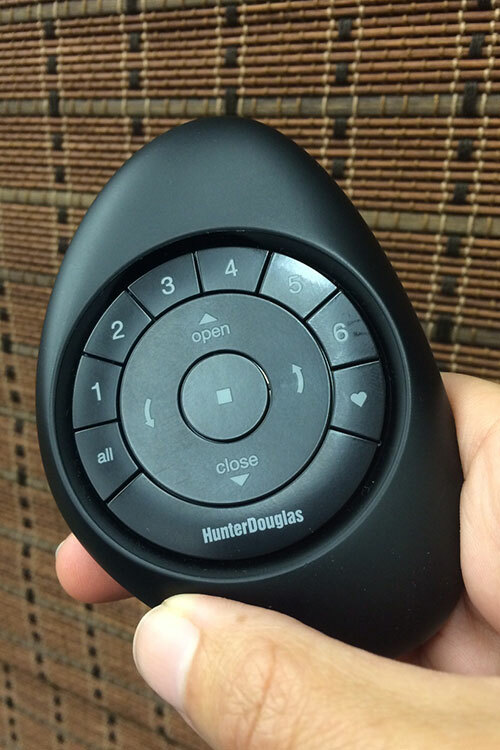 Hunter Douglas new SoftTouch™ Motorization is a battery-powered system which is controlled by a wand. The SoftTouch™ cordless operation system is child and pet safe, and there are no messy cords to disrupt your view. Gently pull down on the elegant wand to lower shades and push up to raise them.